Wow, marvelous blog layout! How long have you been blogging for? you made blogging look easy. The overall look of your web site is fantastic, let alone the content!. 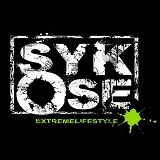 Thanks For Your article about Parkour | Sykose . Wow, amazing blog layout! How long have you been blogging for? you made blogging look easy. The overall look of your website is excellent, let alone the content!. Thanks For Your article about Parkour | Sykose . Wow, incredible blog layout! How long have you been blogging for? you made blogging look easy. The overall look of your web site is excellent, as well as the content!. Thanks For Your article about Parkour | Sykose . Wow, superb blog layout! How long have you been blogging for? you made blogging look easy. The overall look of your website is magnificent, as well as the content!. Thanks For Your article about Parkour | Sykose . I don’t see anything here in terms of content for this topic… was it removed? What advice do you have for someone that wants to do parkour, but has a fear of heights…? Naturally in parkour you will get more confident in yourself. I myself am terrified of heights so I avoid training in high areas, but all my group training has made me less scared when I go up high. Although I still don’t do anything on high objects, I prefer taking the easy and safe way down from high objects, but I don’t have the wobbly leg feeling as much as I used to. But to be safe and smart stick with the lower levels. It will eventually come.